I thought today I would share with you a fun little anecdote in the history of art forgery. Unfortunately the details are a little hazy (the forger in question has several names apparently) but it’s a good story, and relates to one of my favorite Northern European artists, so here we go. Albrecht Dürer (1471-1528) is one of the better known painters and engravers of the Renaissance. He was (and who are we kidding, still is) a highly sought after artist, known for revolutionizing Netherlandish painting with an Italian touch and engraving with a style all his own. Such talents do not go unnoticed of course, and evidently he was so plagued by copyists and fake knock-offs of his work during his life that for 10 years after his death the state enacted a special imperial copyright to safeguard his work (cool huh?). Then we have the story of Abraham Wolfgang Küffner (1760-1817). The story is as follows: Kuffner was a German artist known for sticking to traditional methods and a lover of the older German styles. 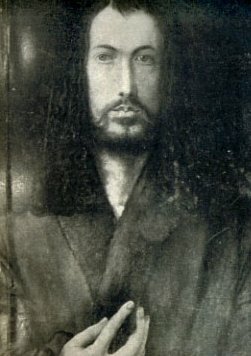 The city of Nuremberg leant Küffner Dürer’s famous Self-Portrait (the only surviving self-portrait by the artist) so that he could make a copy for himself. Only he didn’t make it for himself. Küffner painted a copy, then gave it back to the Nuremberg officials, keeping the original for himself. In fact, according to this source, Küffner sawed the original in half so that he could paint his copy of the original wood backing and then kept the side with the original for himself, eventually selling it. 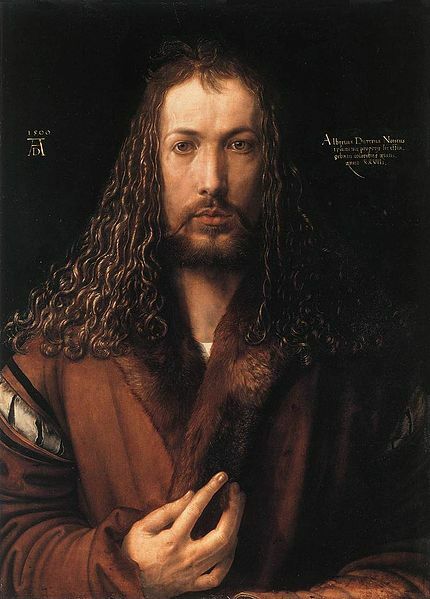 He was eventually caught six years later when Nuremberg found out that Durer’s famous self-portrait was also on display in Munich, and the original returned, but not without serious damage to the original painting, which is the true tragedy.